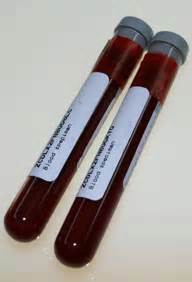 “The art of phlebotomy originated with bloodletting in 1400 B.C. and the modern clinical lab emerged in the 1960s—and it has not fundamentally evolved since then,” she says. The billions of tests generally follow the same ritual: In a hospital or clinic, “you go in, sit down, they put a tourniquet on your arm, stick you with a needle, take these tubes and tubes of blood,” as Ms. Holmes describes it. The specimens are then transported, via a courier or hospital pneumatic tube, to a centralized lab, where they are manually removed from the tubes with a pipette and mixed with a chemical reagent or sent through instruments like a centrifuge or mass spectrometer. After days or weeks of waiting, your doctor finally gets the results. The secret that hundreds of employees are now refining involves devices that automate and miniaturize more than 1,000 laboratory tests, from routine blood work to advanced genetic analyses. Theranos’s processes are faster, cheaper and more accurate than the conventional methods and require only microscopic blood volumes, not vial after vial of the stuff. The experience will be revelatory to anyone familiar with current practices, which often seem like medicine by Bram Stoker. A Theranos technician first increases blood flow to your hand by applying a wrap similar to one of those skiing pocket warmers, then uses a fingerstick to draw a few droplets of blood from the capillaries at the end of your hand. The blood wicks into a tube in a cartridge that Ms. Holmes calls a “nanotainer,” which holds microliters of a sample, or about the amount of a raindrop. The nanotainer is then run through the analyzers in a Theranos laboratory. Hmmm. Maybe it’s time for us to pause and take a breath. Listen. Is that creaking sound I hear the rusty hinges of Pandora’s box opening? It’s hard to argue with cutting health care costs, improving accuracy, and shortening the anxiety-provoking wait that many patients endure waiting for their lab results to reach them. But, this “breakthrough” sounds like it has the potential for creating a tsunami of TMI (too much information). Physicians already order too many lab tests, in many cases a defensive strategy. Often physicians don’t know what to do with borderline results. The temptation is to retest, and soon the doctor finds herself in unfamiliar waters chasing an elusive school of red herring. The Theranos technology promises to make ordering blood tests cheaper and easier, and, predictably, physicians will respond by ordering more of them. Wilkoff is probably right. Still, Holmes is banking on her product to drive down the costs of laboratory services everywhere, all while administering less pain to patients (especially children). It will still be up to well-trained physicians to continue to use evidence-based medical guidelines and common sense to decide when — or when not — to order tests. I think doctors can handle that. This is GREAT Stuff! Hope it will come to hormone assays soon!